How Much Should You Invest in a Website? Medical practices and law firms that need new clients always ask: how much should you invest in a website? The answer should be financial and mathematical and include strategy, timeframes and target to come up with answers. Every law firm and every medical practice has different financials. If you’re a 1-person law firm in a competitive field or a 10-doctor private practice in a niche service area, your answers will differ greatly. If you’re a doctor or a lawyer and you have a website that’s not been touched for a while, or you fired your last for website marketing firm for failure to provide results, you’re probably a little frustrated. No one’s calling your office, but should you risk hiring another website firm? Which comes first: an investment in advertising or a client to pay for a website? Can you afford to invest in a website? Is your website investment going to be paid back in new clients a reasonable timeframe? What’s a reasonable timeframe for a website to return money on the initial investment? What’s the guide for how much you get back from a website? Is your dream of paying $500 a month for $50,000 in new business realistic? Do you know any others in your industry earning regular new business from a website? How much are you spending now on your website and what are you getting in return? Do you have the best website firm or the cheapest website services? How will you determine ROI (return on investment) and are you ready for new clients? Website investments vary and should be based on crystal clear understanding on what the website can return in a set timeframe based on service prices and market demand. Example: A bankruptcy, a foreclosure, a divorce, a criminal case brings in how much on average? $2,500? $10,000? A plastic surgery procedure, a gallbladder removal, a knee replacement, a heart surgery costs how much? What are you supposed to do online to convince someone that you’re a skilled doctor within a medical practice area? How much will you spend to bring that business in the door? What is the law firm operating cost to process that case? Are your prices too low? Is the market demand lessening? Do you need to lower your prices to compete? What does your P&L and marketing plan allot for website advertising? What’s the alternative to a website? Do you have a thorough analysis to weigh the odds and plan the outlay of resources to get clients in the door? Are You Going to Hire Someone or a Firm? The next decision is whether you’re going to hire someone or a firm to do your marketing. There are do-it-yourself website options or you can hire a marketer to come in-house, or you can hire a website firm to handle your online marketing. Do you have the patience and daily time to market yourself online without the website firm? In the end, you may do twice the work without the results because you’re a doctor, a lawyer. Your website skills won’t design a functioning and search-engine-friendly website. Should you hire one person to do all your marketing? If you’re price-driven, a one-stop person who does everything may be a benefit—if they’ve proven revenue for other clients. Just because a person can write a press release, doesn’t mean they can manage a website and perform SEO. You Can’t Have One Without the Other, Can You? You often can’t have one without the other: business without a website or a website without business. It’s well known that if you’re not online, people can’t find you and can’t vet your business. Without a website your services and products aren’t seen by the very people who are searching for them. What’s a struggling startup to do? A website is generally the largest, most expensive marketing piece any business owner holds. People will see in on mobile devices possibly more than viewing it on a computer. Its visuals had better match what the target likes and its message had better be clear. If it’s the last piece put into a marketing basket, it will work much harder than if it was the first element built. Regardless of whether very large or very small business owners, inexperienced entrepreneurs or decades-savvy owners with multiple streams of income: No business should go into debt for a website without certainty that the investment can yield the return. FYI: The properly built, carefully marketed website will work IF there’s a demand for what’s being marketed. Don’t build a website for anything if you aren’t certain. Many people have come to The Marketing Square with wonderful ideas for websites without marketing plans, P&L. Plan first. Research first. The Marketing Square will help business owners determine best practices and timelines for website success. A marketing plan with a P&L will determine whether the website can definitely return on the investment. If a business needs direction, CPAs can be recommended and marketing plans can be created. In some cases the price, quality, demand of a product or service will outweigh the return on investment for a website. As an advertising and a website agency, it’s only responsible to be straight with prospects. Maybe the item will be sold well at a low price with expected high volume, but there is no demand. Maybe the competition will beat prices at every turn. Maybe there’s a corner on the market for a service as the lone provider. Research will decide if there is a market for your product and online research for a service/product/business provides answers and a road map for rushed owners who need revenue now instead of relying on patience and time and a plan for success. It’s best to have multiple sources of revenue coming in and planned for so the demand for products can withstand ups and downs in the market. Strong and steady wins the race, but demand and return combine with investment in advertising. The investment in an advertising-based, WordPress website built by experts will provide a return the website will pay for itself and its monthly marketing. Now, compare that to a homemade, barely functioning, unprofessional website on an unpopular platform and it will not yield high economic returns. Image is everything, quality websites matter. You will get out of it what you put into it and more. This is why a DIY website isn’t the way to go. Do you know anyone who can spend $20 a month for $20,000 in revenue? 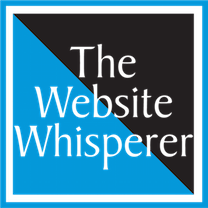 If you build on Weebly, Wix, SquareSpace, GoDaddy and are paying $5 for “SEO on a $20 a month website you have a website presence similar to an online business card. Have you ever heard of one of these websites bringing in clients and revenue for a law firm or a medical practice. Google it if you don’t know the answer. If you pay discount prices, don’t expect high-end website performance. It’s better to wait until a quality website becomes affordable for your medical practice or law firm.. When people search for your website what they see online is what they’ll get from your business. When your website opens to a prospective client for the first time, you want it to provide everything that your new business offers with vibrant visuals and compelling copy that sells for you 24 hours a day. What Are the Online Alternatives? Social media accounts can give a business a very strong online presence with a professional photo, a nice logo and basic graphic design. Your social media will need to be built up over time and it’s a great idea to build it first. Of course with social media, you’re providing content on platform that you don’t own. Before setting up Twitter, Facebook, LinkedIN, Google Plus, YouTube, Tumblr, Pinterest, InstaGram, Vimeo and other social media, first invest in a professional photo and logo. The photo is worth its price and photographers can make you shine. Next, begin by creating uniform graphics based on your logo. Use the colors, the fonts and the graphics that are identifiable across all platforms so that clients can recognize the company. Most important: have a business e-mail address and phone number so that prospects, buyers and clients can contact you. When you have the professional picture, logo, phone, e-mail and an array of pictures of your business and products, go to YouTube and search for step by step instructions on how to create the social media accounts. You’ll learn by doing. It’s easy and if you get stuck, find a friend to help. If you can open an e-mail account, you can open a social media account. You can add your name, profile, e-mail and phone so that people may contact you. Have many pictures available to post on the social media accounts and use a wide range of pictures when you build the accounts. It’s important not to duplicate photos during the setup. Use various pictures across all social media so that a wide range can be on display. Open as many accounts as you know you can manage and respond regularly. Post daily, post often, post on all accounts–not only your favorite social media. Social media accounts may be your first online experience and here your competence and professionalism are important. Follow, like, share, reblog, post and interact with other people and businesses on your social media accounts. When you do build your new website you can link the social media to the site for valuable backlinks to help the traffic. Websites and marketing or advertising handled by professionals will always benefit a business and return revenue on the investment. So in answer to the rhetorical question, how much should you invest in a website…it’s a professional decision that the website should come first. There are solid social media profiles that can be created. Use Google’s Blogger free blogging platform because cheap websites risk the reputation of your business. You can’t risk business image because a bad website experience could lose a client in the end. But how long will this hold you and what are your clients looking for online from a doctor or a lawyer? Before spending money on any website, FIRST, invest in a marketing plan that includes market research. Determine ROI in a website that best represents the business built by professionals to advertise your business. In the end, you’ll get ROI on a website built by a company with proven success from other clients in your industry.